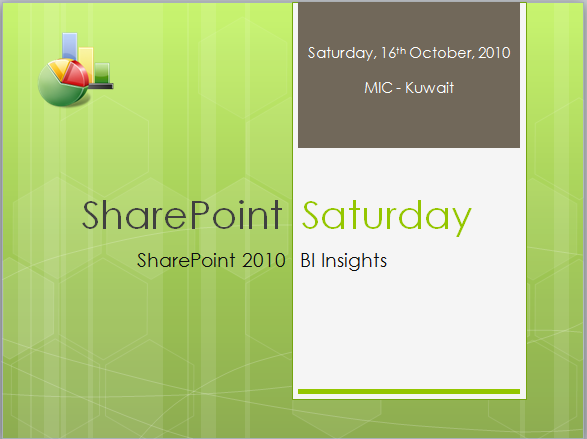 You are all invited to attend the first SharePoint Saturday ever in Kuwait. You can find more details on the session here and here. Also, this is the event page on Facebook. ISA, I’ll do the BI session. In the last two weeks, I was working on a POC and solution architecture for a client that has a Business Intelligence needs. I can’t go so much in the details for confidentiality reasons :), but I’ll share a common architecture for a business intelligence solution. As you can see in the above image we got a lot of layers and technologies involved, of course not all these technologies and layers required all the time but its need come from the actual solution requirements and business needs. Service as the web interface fro the BI solution, it’s a MOSS portal with the Report Center template. We can use SSRS reports, PerformancePoint Server scorecards, KPI lists and Excel Services to provide the end user with interactive dashboard and BI scenarios. Also the SSRS and PerformancePoint Server serves as the core components in storing the report templates, rendering the reports to the portal and design the reports itself. 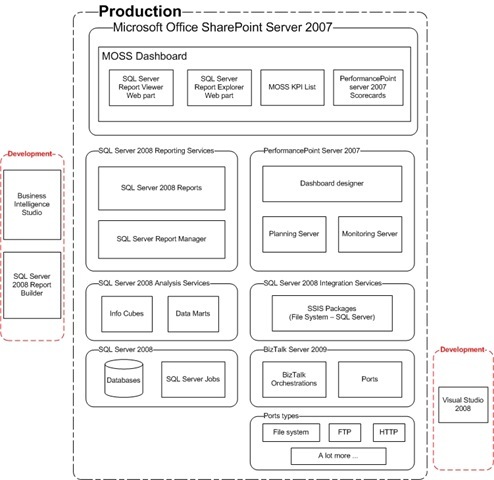 We can use the report builder for the SSRS and the Dashboard designer for the PerformancePoint Server. The OLAP, SSAS and SQL Server database serves as the BI and data analysis layer. In this layer all the complex analysis, data warehouse activities and OLAP activities done to provide the multi dimension data to the above layers. 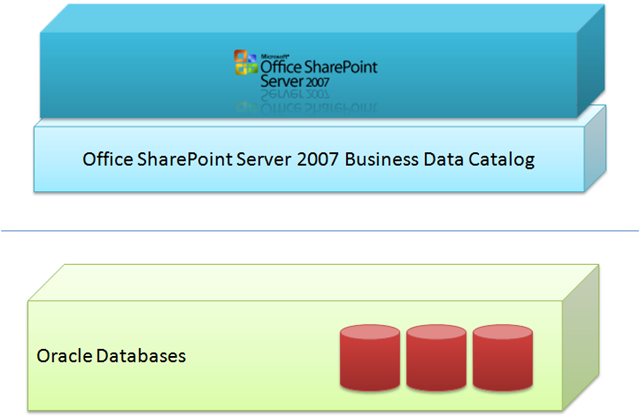 We can use Business Intelligence Development Studio to develop SSAS packages and databases. Two things we should take care while investing time in this layer EAI and ETL. For most of the scenarios and as a good practice too, that we use BizTalk for EAI and SSIS for ETL, that’s when we experience the true power of each technology. We can use Visual Studio to develop both BT Orchestrations and SSIS Packages. 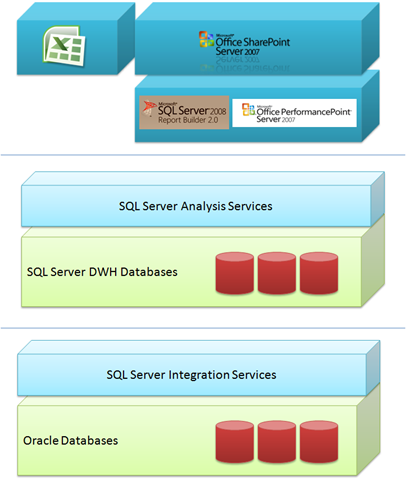 SQL Server 2008 is a great tool and so much enhanced to be able to serve data warehousing and BI solutions. As our data store and DBMS, it will connect the whole solution technologies and make them interact together. Finally, as I said this was made for a quick POC for a client, so I’ll post in 3 or 4 posts piece by piece of my final solution and in each piece I’ll explain all the related concepts and technologies.